The main challenge is that Arduino does not have enough computational power and memory to connect to SSL websites, as I mentioned on my previous blog post. The first step, is to write a small PHP “proxy” application to handle the login to a SugarCRM system in a secure way, retrieve the required data based on some specific business logic (on this example, count the “New” support Cases) and then output the result. 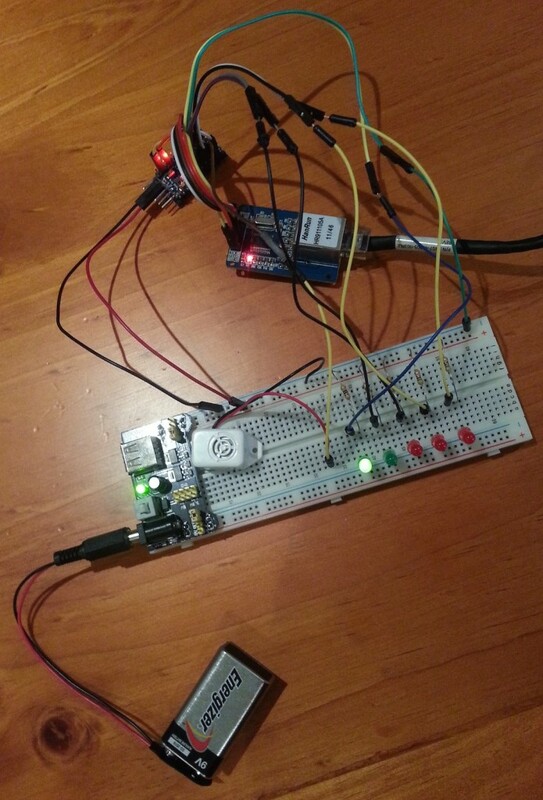 The Arduino micro controller will then act, based on the result retrieved from the PHP page. Let’s see the prototype in action on this video. The prototype solution I built is exactly the same as my previous blog post in terms of Arduino and Ethernet module. In addition to that, I have 2 green LEDs and 3 red LEDs to count and display up to the first 5 support tickets. I have added also a buzzer, to play a tone every time the number of support tickets increases. The buzzer can be replaced with anything else based on preferences. Note that if the output requires more than 5V, a relay might be required together with the correct input for the additional load.